Do you need additional verification that your products were delivered and received? Now, your customers can sign directly on your drivers' cell phone. Their signature will be saved on e*ach visit as an additional picture. How do I activate the digital signature? It's is very easy. You just have to go to the Settings menu in your account and click on Mobile App. Here you will see this new setting: Signature Capture. 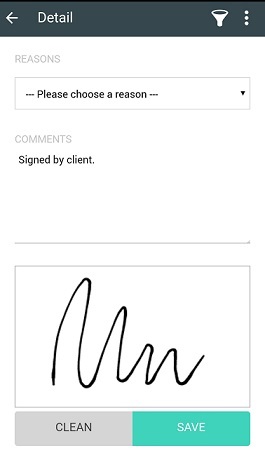 Turn it on to display a signature field in the mobile app. Your drivers will now have the option to add the signature. You can see and download signatures in the Tracking module as an additional picture.